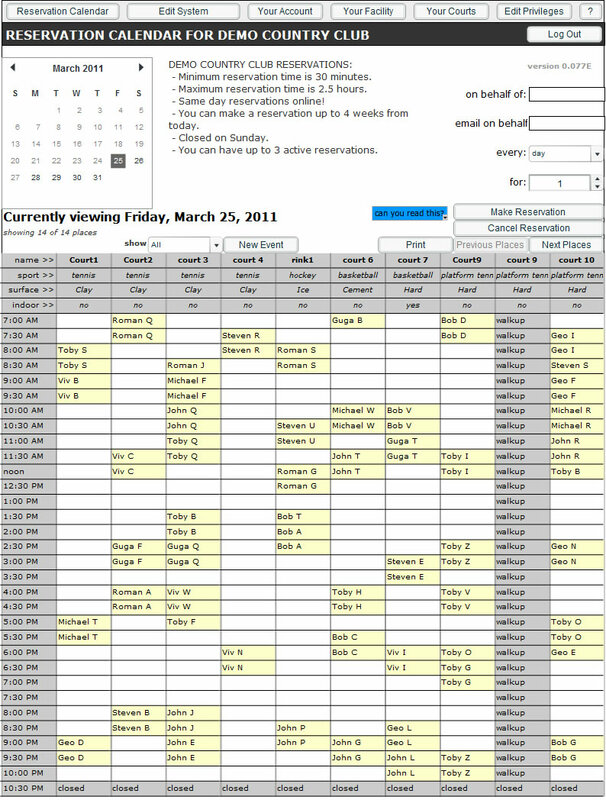 MyReserver is an easy way for facilities to save time & money taking reservations. March: V 0.78:Stats for misuses and no shows have been added along with auto ban features. what is Myreserver? 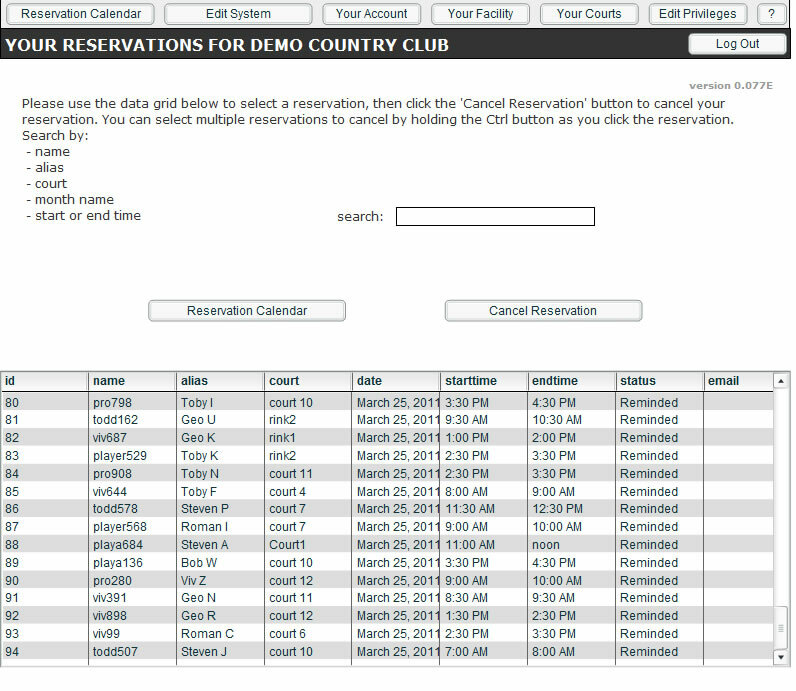 A service that easily allows your facility to make reservations for courts, pavilions, fields and many other things. how does it work? 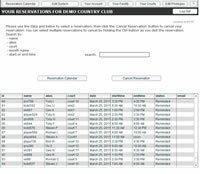 We host all the users and reservations, while you maintain your facility and court information. Take Reservations for your Court, Pavilion, Basketball, Soccer Field, Baseball diamond etc. SIGN UP! for a risk FREE trial. Reservation Calendar. Easily Keep track of reservations. Keep information up to date.